Join us in painting one of our most popular designs at The Pig & Rooster on Thursday May 12th! There is nothing as beautiful as a big, fancy, unusual sugar skull! We will take you step by step in creating your own unique design on a large wine glass that you will be proud to show off time and time again! So lets grab some Sangria and paint! Get your tickets now, this one will sell out!! 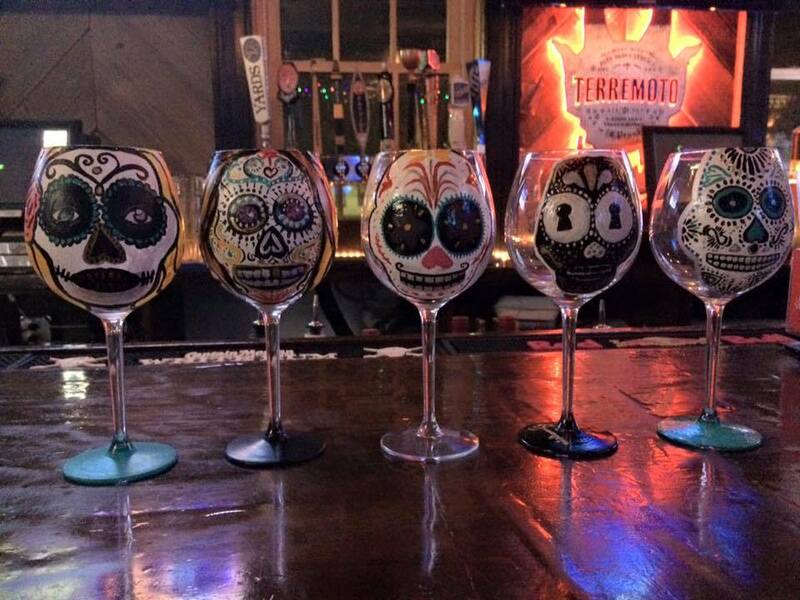 CLICK HERE to get your Wine:30 Sugar Skulls Glass Painting Tickets!